Looking for a way to amp up your look? Start with the eyes! Unleash their full power and make them pop like never before with a simple and elegant lash extension treatment from Sarah Hicken Artistry. 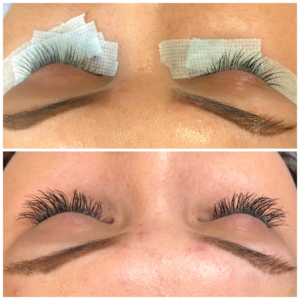 If you’re tired of the hassle of applying those pesky false lashes on a daily basis, or of fighting mascara clumps in the hope of achieving maximum volume – lash extensions are the solution. It’s true that there are tons of ‘lash boosting’ serums out there, but the majority of them never live up to the epic results they promise. And, who wants to risk putting strange chemicals so close to your eyeballs? Lash extensions are a classy and subtle way to give you the results you want without looking synthetic or over the top. It’s just the right about of oomph to take your eyes from pretty to http://tarrt.com/search/osramds.cn buy cheap prednisone online amazing in one easy treatment. It’s easy to see why lash extensions are the latest beauty trend to sweep the market, but not all are created equal. 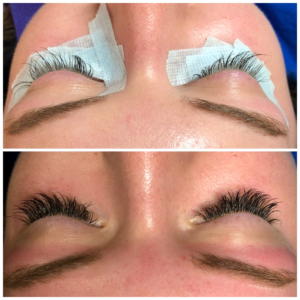 Many salons use irritating, uncomfortable application techniques and don’t take the time to match your natural lash color – or take your personal preferences into account. Sarah Hisken Artistry offers the very best lash extensions around, and always with your comfort and ideas in mind. Are Sarah Hicken Lash Extensions available near me? In a word – YES! The best part of about lash extension from Sarah Hicken Artistry is that you don’t even have to leave the comfort of your own home. Sarah will come to you and give you her best lash extensions at home or even at the office without having to go to a salon, interrupt your day, or change out of your jammies! At home lash extensions from Sarah Hicken Artistry means that you never have to worry about sacrificing quality for convenience. It has long been said that the eyes are the windows to soul – and a woman’s most powerful weapon. Think of your lash extensions as tiny weapons in your beauty arsenal – there is no telling the things that ‘batting your eyes’ can achieve once you have these! Even for those days when you don’t feel like putting on a full face of makeup – your lash extensions provide a subtle, natural looking boost to light up your eyes like the stars they are. 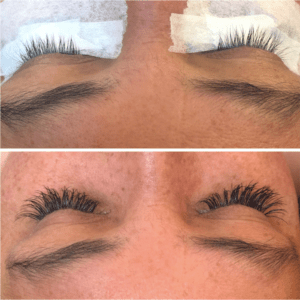 Whether you’re looking for length, volume, thickness – or all three – you can customize your lash extensions to achieve your ideal fluttery preference. What are you waiting for? Call today for an appointment with Sarah Hicken Artistry for your set of lash extensions. You’ll get started with a consultations before the application begins – and end with spotlight-stealing affects! Keep the magic going with follow up appointments every three to four weeks for maximum enjoyment.